Additional Description: The old cannon that stands nearby likely pre-dates the Civil War. It may have been used by Confederate forces during the war. Update: Known as Old Reformer Brass Cannon. Believed to have been used in the Revolutionary War, it became known as "Old Reformer" in the Red Shirt Campaign of 1876. Brought to Anderson in 1814, it was placed on the town square in the early 1920s. (Source: Anderson Downtown Historic District National Register nomination form.) 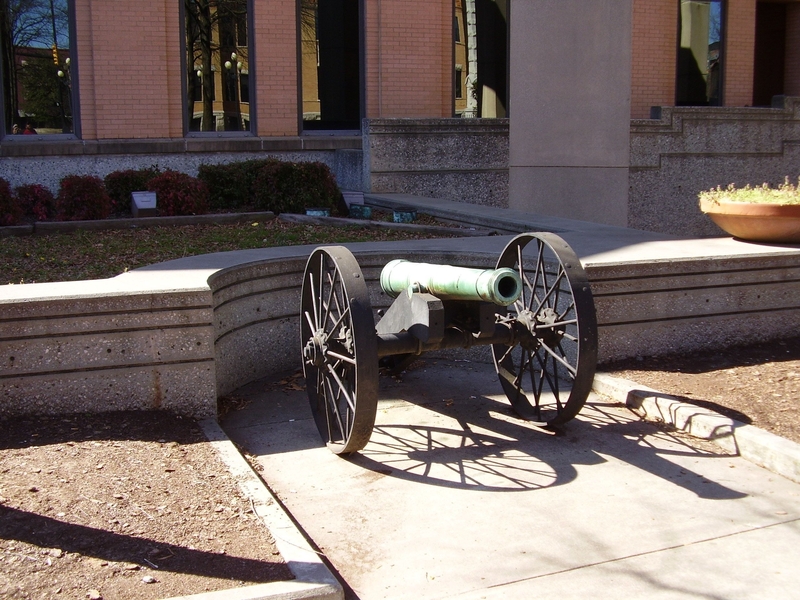 The cannon has been moved and is now located at the Anderson County Museum. Submitted: March 3, 2009, by Stanley and Terrie Howard of Greer, South Carolina.